Amy Derickx is an associate in the advocacy department at Gowling WLG's Ottawa office and is a member of the firm’s Employment, Labour & Equalities Group. 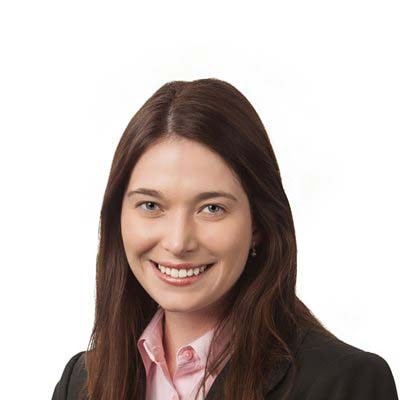 Amy provides guidance and advice to employers in all areas of employment law, including reviewing and drafting employment contracts and workplace policies, assisting with termination planning, and handling wrongful dismissal litigation and human rights complaints. She also practises in the area of disability insurance defence. Prior to joining the firm’s Employment, Labour & Equalities Group, Amy served as a legal advisor at the Canadian Nurses Protective Society, where she provided legal advice and education to registered nurses and nurse practitioners across Canada. Amy’s health law background includes prior work as an associate for the firm in the area of medical defence, including professional liability, privacy and professional discipline matters. Amy has appeared before the Ontario Superior Court of Justice, the Ontario Small Claims Court, the College of Physicians and Surgeons of Ontario, the Health Professions Appeal and Review Board, and the Ontario Human Rights Tribunal. In Amy’s spare time, she volunteers as a condominium director, plays ringette, and also enjoys biking and walks with her dog. Prepared a draft study on the practice of UN Organs on Charter Article 103 for the Repertory of Practice of United Nations Organs, Supplement No. 10 (2000-2009), (forthcoming in volume VI of Supplement No. 10). Presented an unpublished paper, entitled "The UN Convention on the Rights of Persons with Disabilities: a tool to be used by Canadian courts", at the International Conference on Law and Society, in Honolulu, Hawaii, 2012.